Each draft is unique and understanding the strengths and weaknesses of each position group is essential for any NFL team when setting a draft board. 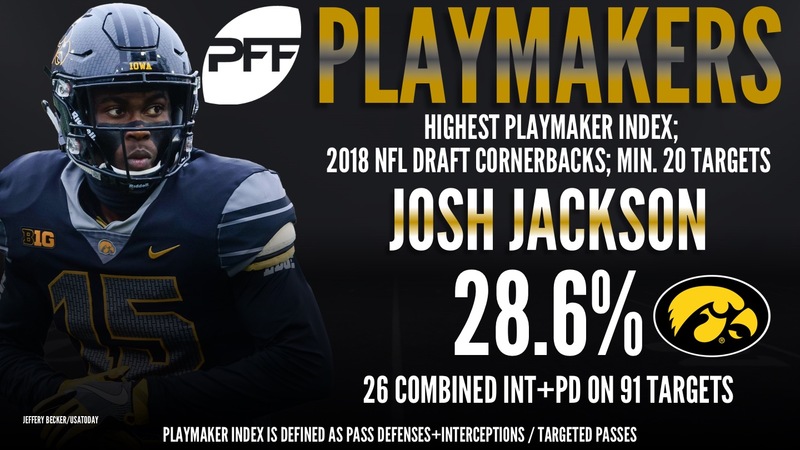 Last year saw a loaded group of defensive playmakers, from cornerback to edge defender, and that narrative showed up in last year’s rookie class. The story of this year’s draft has generally centered around the quarterbacks, but here’s what you need to know about every position’s strengths and weaknesses. 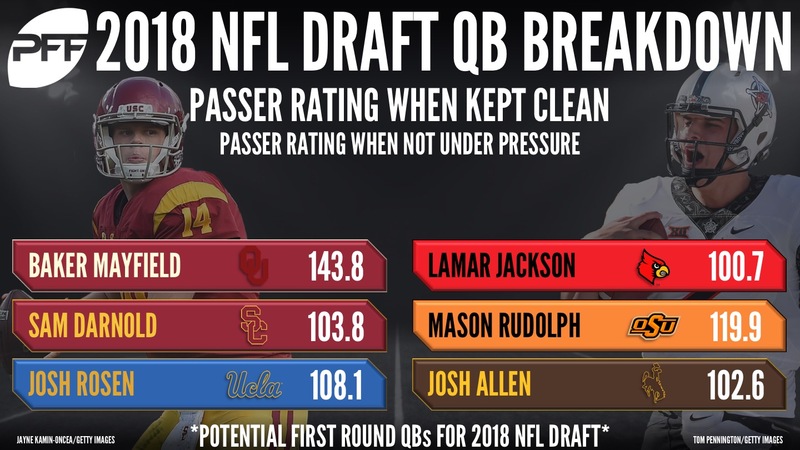 There are plenty of first-round options in this year’s draft class as there are six names (Sam Darnold, Baker Mayfield, Josh Rosen, Josh Allen, Lamar Jackson and Mason Rudolph) in the mix. We may see quarterbacks selected with the first 3-of-4 picks as the story of the draft will be written based on where the top QBs land. 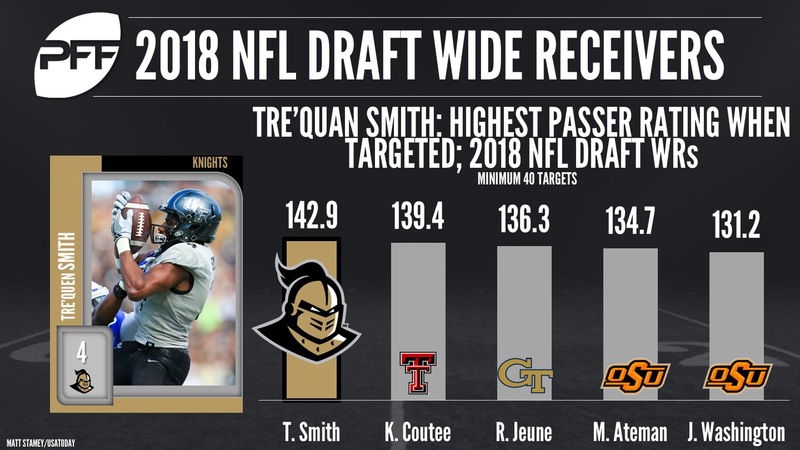 Some of the top quarterbacks may sprinkle into the second round, but beyond the top six names, there are few exciting options. Richmond’s Kyle Lauletta is worth a Day 2 look while Western Kentucky’s Mike White is likely the best Day 3 option. Most of the running back buzz surrounds Penn State’s Saquon Barkley, but it’s another deep running back class. Barkley may be the consensus top option, but there are valuable players to be had in the second through fourth rounds. Keep an eye on San Diego State’s Rashaad Penny who may have the best combination of rushing and receiving ability in the class. 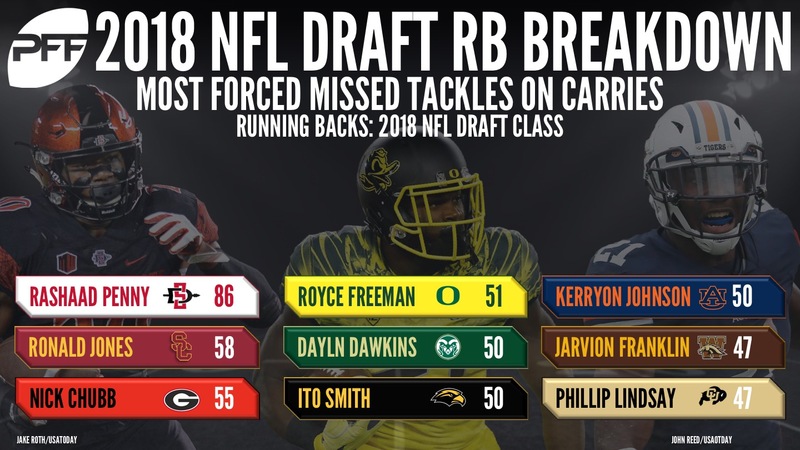 Players like Auburn’s Kerryon Johnson and Oregon’s Royce Freeman are poised to make teams look smart in the middle rounds as the running back group continues to get replenished in the NFL. It’s difficult to pinpoint a clean No. 1 receiver option, making this a wide open year when ranking the wide receiver class. SMU’s Courtland Sutton turned heads with an excellent NFL Combine at 6-foot-3 and he’ll be in the mix at the top. Beyond that, Alabama’s Calvin Ridley provides a deep threat while Colorado State’s Michael Gallup is a PFF favorite who shouldn’t go overlooked. Maryland’s D.J. Moore has excellent quickness and toughness that make him another top option. This class has a few specialists, from slot receivers to big red zone threats, so it’s a draft to find No. 2 receivers or role players more than it is a draft to find a game-changing No. 1 option. The theme of this class is receiving tight ends who need work as run-blockers, but that’s OK in today’s NFL. South Dakota State’s Dallas Goedert is the most intriguing mismatch option, but Penn State’s Mike Gesicki is right there with him after destroying the NFL Combine. Gesicki’s downfield skills were limited in Penn State’s offense, but they’re prevalent on film if you look hard enough. Throw Oklahoma’s Mark Andrews into the mix as well as he was a glorified slot receiver in the Sooners’ offense. It’s a good year to need a tight end. The offensive tackle class is a step above last year’s when PFF had only one clear first-rounder in Wisconsin’s Ryan Ramczyk. This year, Notre Dame’s Mike McGlinchey should land in the first round and Texas’ Connor Williams has first-round potential, though some in the NFL want to move him inside to guard. Oklahoma’s Orlando Brown is a wild card as he struggled in workouts and may have pushed himself into Day 2 consideration. The interior offensive line is where this class is strong, led by Notre Dame’s Quenton Nelson, everyones darling and perhaps the best guard prospect in many years. Beyond Nelson, there are starters to be had from Georgia’s Isaiah Wynn to UTEP’s Will Hernandez to Arkansas center Frank Ragnow and much more. This class is filled with question marks at the top, opening the door for NC State’s Bradley Chubb to be considered the top option on many boards. Boston College’s Harold Landry and LSU’s Arden Key did their best work prior to 2017, but their high end play makes them potential first-round options. Many of the second-tier options have size concerns and are potential linebacker conversions, making this edge defender class weak when it comes to depth. The top guys hitting could make this class better than expected on paper, but as of now, it looks much worse than last year’s class. There are few first-round locks among interior defensive linemen with Michigan’s Maurice Hurst’s potential heart concerns clouding that even further. If healthy, he played like a top-five pick on tape and the NFL should at least have him in the first round. Washington’s Vita Vea is a massive nose tackle who can move all over the defensive line and he rushes the passer well enough to warrant a first-round pick. 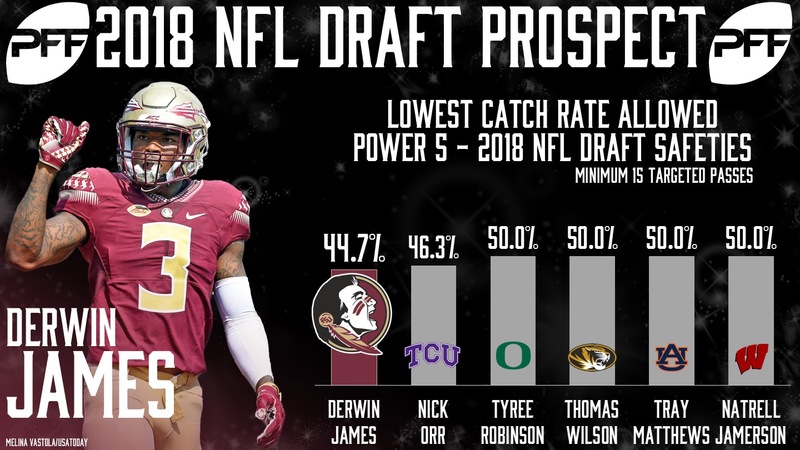 Beyond that, there are a number of run-first players and not enough efficient interior pass-rushers in this draft class. 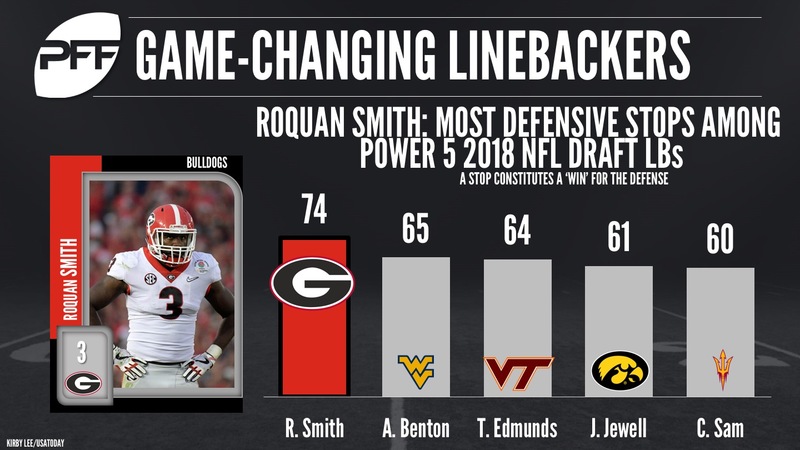 It’s a good year for first-round linebackers with Georgia’s Roquan Smith, Virginia Tech’s Tremaine Edmunds and Boise State’s Leighton Vander Esch all providing strong combinations of production and athleticism. There are solid options beyond the big three, from Rashaan Evans of Alabama to Iowa’s Josey Jewell, making this a good draft to grab a linebacker either early or in the middle rounds. There’s no consensus No. 1 cornerback, but Iowa’s Josh Jackson, Ohio State’s Denzel Ward, and Alabama’s Minkah Fitzpatrick are all in the top-10 mix. Later first-round/Day 2 options include long corners like Isaiah Oliver and a smaller playmaker like Louisville’s Jaire Alexander, making this a strong class at the top with enough intriguing options in the middle rounds when it comes to finding length or slot-only options. Last year’s cornerbacks were insanely deep with potential starters dropping to Day 3, and while this year’s class is a step behind, it’s still a good group overall. Florida State’s Derwin James is the star of the class as he’s a defensive game-changer, but the rest of the safety class has a few potential starters and a number of players capable of playing specific roles. From Ohio State’s Damon Webb playing free safety to Alabama’s Ronnie Harrison playing in the box to Virginia’s Quin Blanding being a good fit in split-safety looks, this class will vary greatly on team draft boards depending on scheme and fit. There is strong depth beyond the first round, but James may be the only safety to hear his name called on Day 1 (assuming Fitzpatrick is slotted as a cornerback).